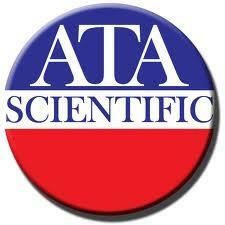 ATA Scientific specializes in marketing and servicing analytical and scientific instruments. The company represents a group of international companies who are all highly regarded in their fields. Their innovative instruments are applicable across the Particle, Surface, Life and Material Sciences. Applications range from routine QC to advanced nano and biotechnology research. The company operates throughout Australia and New Zealand. Over the past 23 years, the company has built an extensive customer base. This includes Universities, CSIRO and a diverse range of companies in the pharmaceutical, polymer, chemical and mining industries. ATA Scientific offers Surface Measurement Systems’ DVS Advantage system, which automatically records organic and water sorption isotherms quickly, dynamically and accurately. It provides fast sample loading with rapid change from water to multiple organic solutes.